BSNL broadband needs to be connected with dial-up connection when you want to surf internet. The wireless modem can’t be configured automatically with BSNL broadband. Some users may find it difficult to configure wireless router. Few days back I purchased Netgear wireless modem. In this tutorial I’ll share the procedure to configure Netgear Wireless Modem with BSNL modem. Connect the Netgear wireless router to power outlet and to your existing BSNL modem and turn on the power. Connect your laptop with wireless connection. The name of the connection will be NETGEAR (By default). Now open in your internet browser. It will ask your to enter user name and password. You can get the user name and password from the back of the router. Now go to Basic Settings from the left sidebar. Now basic settings page will open in the middle. Under Does your Internet Connection Require A Login ?, Select Yes and move further. Now fill in your Login id and Password that you use to connect to your internet. Do not change the rest of the settings. Click on Apply button. That’s all to set up your wireless router. The wireless setup that you did is not secure. Anybody can use your internet connection who is in the range So it is better to secure it with a security key. Click on the Wireless Settings on the left side. Now in the middle, you can change the name of your wireless network and the region. At the bottom of this select your desired mode of Security Option. I will select WPA-PSK [TKIP] here. Enter the Passphrase that will be used as security key to connect to your wireless connection. Now your wireless connection is secure. I wish I could install Netgear with my Reliance Broadband too! .-= TechChunks´s last blog ..How to Jailbreak an Apple iPad [Video] =-. I think you can install it with any broadband connection. I have BSNL connection so I wrote tutorial for BSNL users only. I must say that your own blog website is truly insightful. I’ve been using a ton of free time for the last last couple weeks on the lookout at what exactly is out there based upon simple fact that I am organizing to launch a blog site. The info you have placed on here is literally to the point. It just seems to be so unclear in regard to all the solutions that are to choose from, but I love the way your is visually. Gotta fall in love with where technology has come through the previous 10 years. hi, i want to know the price of the NETGEAR WIRELESS ADSL MODEM. AND WHERE CAN I GET , AND ALSO LET ME KNOW ABT THE PERFORMANCE OF WIRELESS SIGNAL AND WARANTY, AS I M USING LAPTOP I NEED A GOOD SIGNAL. Your article is a perfect help for people having trouble configuring their router. Thanks for sharing the information. I have just purchase Nokia E63. I can connect my Desktop computer with wireless 802.11b network adapter and Lenovo Laptop N100 Series to BSNL Broadband through Wireless ADSL Router. But, for this, I have to fill Username and password for browsing internet from my computer. And I have special IP Address too for Bowering Internet from BSNL Wireless ADSL Router. Therefor, For browsing internet from my BSNL Wifi Router, I must have to fill up IP Address of BSNL Server and lastly user name and password in my PPPoE Dialer in computer. Now, How I can connect my Nokia E63 to BSNL Wifi Router through Wi-Fi without entering any IP Address on it? I can configure my BSNL Wifi Router to browser Internet without entering any Username and Password for PPPoE Dialer. But still, I must provide unique IP address of My BSNL server for connecting this mobile to Wireless internet Browsing. My Nokia E63 detects my BSNL Wifi Router easily. But I can not serve internet through it without entering my dialer user name and passpord and IP address of my BSNL Server on my Nokia E63 handset. Can I serve internet on my mobile through wifi networking from my Lenovo Laptop? I followed the same steps, but did not work. I tried with user name with “@bsnl.in” and without it. None of the options worked. Can you please help me out on this? I am using wgt624 v3. I require your help. The old LAN Card that is installed in my CPU is not working anymore. Please let me know the procedure. If I get the Netgear Wireless Router what will be my next step? I have MTNL WiFi connection so kindly help me. What is the use of Netgear Wireless Router and do I need it to fix it in the CPU like my previous LAN Card and then install a CD so that the PC can recognize the hard drive? I am bit confused now after reading and hearing so many things from so many people and I am finding myself as a gullible fool. Tell me the procedure please, how do I connect Netgear Wireless Router to my computer? How the computer will recognize Netgear and then MTNL WiFi to Netgear Wireless Router ???? I hope I made some sense? I am using Netgear N150 router with BSNL. I am able to connect with ethernet cable but when I am trying to go wireless, it’s not working. My computer is not detecting any wireless network, what am I supposed to do? Any clue! This is really awesome and so frikkin helpful, thanks a lot dude!!! i am using bsnl wi max modem. 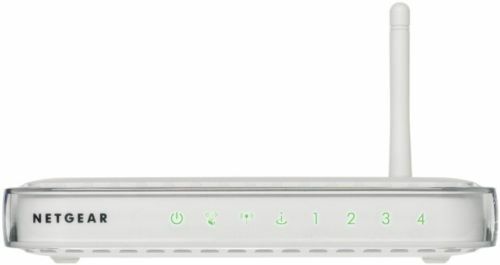 is it possible to connect netgear 150n wifi router to this modem? i tried the tutorial in the cd, didnt work. I have a router 881G/K9-which has been configured .the router is connected to bsnl modem which is in the bridge mode.and all the configuration (including username and password )has been done into the router. Now the question is : can i configure the private static ip into the WAN interface of that netgear router.so that i am able to get access to the router.The private IP is connected to bsnl modem through NAT Overload. I am trying to connect n150 Netgear router with bsnl broadband modem, but I am not able to open http://www.routerlogin.net website. It gives me not found or unable to open error. Also, without this setup, I have just connected router and modem through ethernet cable and connect wifi to the router using the network key given with the router. By this, i can access ONLY https websites, and i cannot open any other sites! 🙁 for others, the browser redirects to my modem dsl page. Please help. I am currently using BSNL type 2 modem (model: UT300R2U) i recently bought a Netgear Wireless router, i connected the modem’s ethernet wire to the router and all the necessary lights are lit. However, i am not able to access the internet thru my laptop wirelessly . The moment i open the browser it ask for a username and password as if i have opened the modem webpage. I tried all the user name and password that i have (one that comes with my router, one provided by my ISP) but it again it ask for the same. I even tried to open the router’s webpage ) but in vain. Please help to configure the modem with the wireless router.